Your Source for the Usual & Unique! The staff here at Kentwood Gardens invite you to stroll through a collage of colour in our country display gardens and garden centre, where you will discover the pleasure of plants and garden decor. Our Garden centre features a diverse collection of plants from the Usual to the Unique. A lot of the plants are grown here in the field and in the greenhouses. 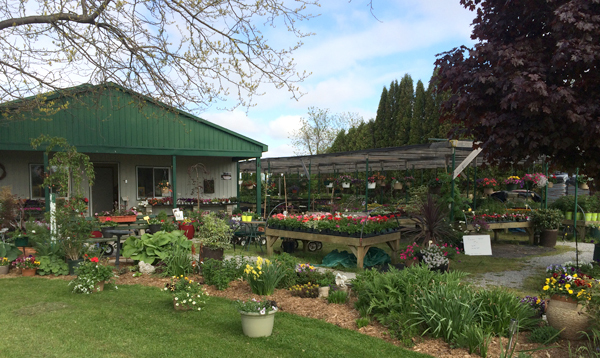 From annuals(bedding plants) and perennials to flowering shrubs, evergreens and hedge plants, we grow exciting new and different plants every year. Our doors open on April 1st each year (no fooling) for you the eager gardeners who are ready to get growing. Spring is an ideal time to plant trees and shrubs and take advantage of the early spring rains. It is also a time of planning for the new garden year and we at Kentwood are ready to serve you. Growing for You Since 1988!